The Baltimore Orioles began their 65th season in Major League Baseball with a 3-2 win over the Minnesota Twins on Opening Day. 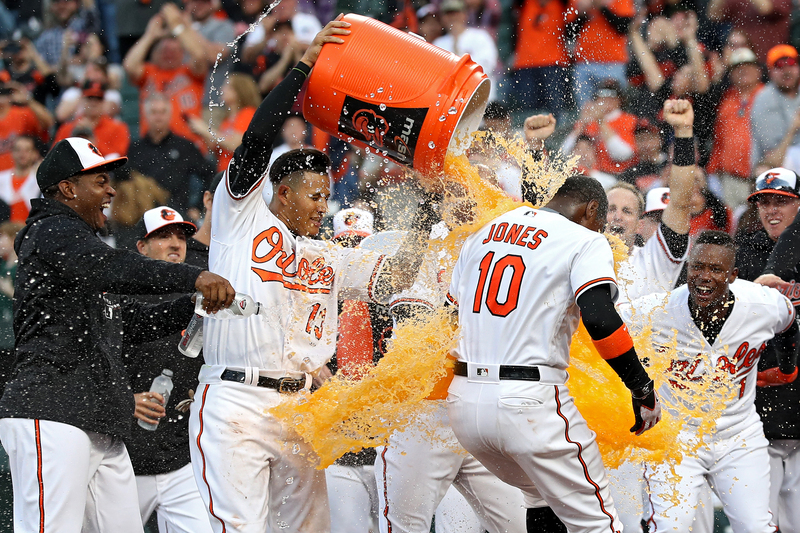 For the third consecutive season, the Baltimore Orioles ended Opening Day with a walk off as Adam Jones belted a solo home run in the bottom of the 11th inning for a 2-0 win over the Minnesota Twins in front of 45,469 in attendance at Camden Yards. Jones, who became the first player to make 11 straight Opening Day starts in center field since Ken Griffey accomplished the feat with the Seattle Mariners from 1989-1999, hammered a Fernando Rodney fastball over the left field wall. 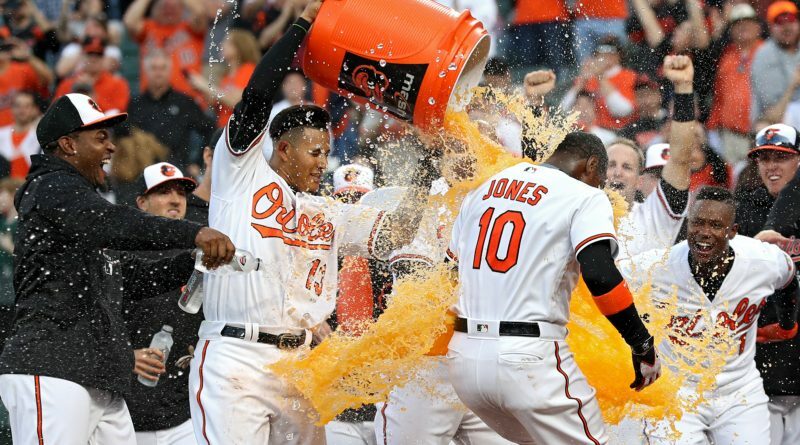 The Orioles won on a walkoff home run by Mark Trumbo in the 11th inning last season as well. “Oh yeah, I knew it was gone off the bat,” Jones told reporters after the game. Dylan Bundy, making his first Opening Day start, fired seven innings of shutout baseball, allowing just five hits and a walk with seven strikeouts. 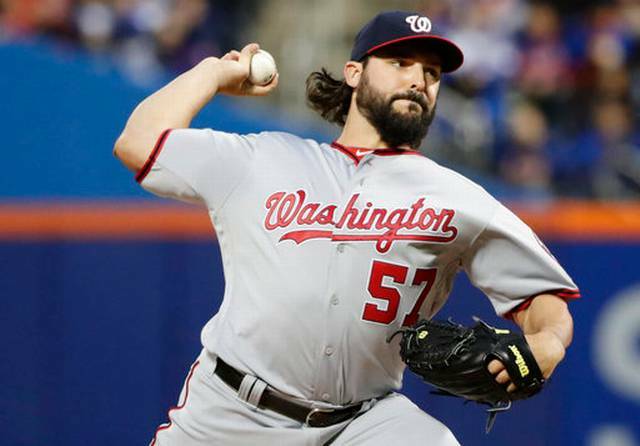 He became the first Orioles Opening Day starter to pitch seven innings since 2012 when Jake Arrieta was on the hill for Baltimore. The first six innings were in the favor of the starters, but a couple defensive plays are sure to make the highlight reels around the country. Orioles outfielder Craig Gentry, a surprise start in right field, made a spectacular leaping grab over the wall to rob Eddie Rosario of a would-be home run. An inning later, Twins first baseman Joe Mauer made a great diving stop and the flip to first to prevent his counterpart Chris Davis from getting a base hit. “That’s one of those things Gentry brings,” manager Buck Showalter said after the game. “He’s going to figure out a way to impact not only your game, but what the other manager can and can not do. Twins starter Jake Odorizzi had familiarity against the Orioles from his years inside the division with the Tampa Bay Rays, and it showed as the right hander threw six scoreless innings, allowing two hits and two walks with seven strikeouts. The Twins made the move to Zach Duke in the bottom of the seventh and two wild pitches allowed Trey Mancini to reach second base. Following an intentional walk to Danny Valencia, Caleb Joseph, the number nine hitter in this ballgame, drove both runners home on a triple to the right center field gap. It was the third triple of his career for the Orioles catcher. Duke did make history while giving up the winning runs as he was only the 39th pitcher to strikeout four batters in one inning. Mancini reached base on a strikeout, wild pitch before Duke struck out three more Oriole hitters to end the inning. Darren O’Day pitched a clean eighth inning, but Brad Brach blew the save in the ninth on Robbie Grossman’s two-out, two-RBI single that tied the ballgame. Brach had Max Kepler at a 0-2 count with two strikes, but proceeded to walk Kepler on an 11-pitch at bat. Grossman was able to get just enough on the hit for the ball to land between Manny Machado and a charging Adam Jones. Mychal Givens came on in relief of Brach to end the top of the ninth, and threw a 1-2-3 10th inning. Baltimore had an opportunity to win the game in the 10th with the bases loaded and Jonathan Schoop at the plate, but the second baseman grounded into an inning-ending double play. Richard Bleier earned the win after tossing the 11th inning, allowing one hit. The last time the Orioles started the season with a matchup against the Twins was in 2016 at Oriole Park. The O’s won 3-2. Baltimore is now 332-287 all-time and 176-135 at home against the Twins. Davis got the nod as the O’s leadoff hitter, the first time in his Major League career that he has done so. The two-time MLB home run leader finished the afternoon 0-for-4 with two strikeouts. Showalter is now 8-0 in Opening Day games since joining the Orioles. He owns a 14-5 record all-time in season openers. The two teams have an off day on Friday before Saturday’s matchup between Kyle Gibson (12-10, 5.07 ERA in 2017) and Andrew Cashner (11-11, 3.40 in 2017), one of the Orioles’ new members in the rotation. First pitch is scheduled for 7:05 p.m.
← Can this year’s Orioles lineup provide more power than last season?